Workers are also suffering the lowest living standards since Dickensian times, according to the Bank of England Governor. Bank of England Governor, Mark Carney, has warned that “up to 15 million of the current jobs in Britain could be automated over time” in a speech which painted a worrying picture of the future for UK workers. Speaking at Liverpool John Moores University, the Governor likened the impending ‘machine age’ to the displacement of industries seen in past technological revolutions, warning that “every technological revolution mercilessly destroys jobs and livelihoods”. The BoE chief spoke about the role of monetary policy in the midst of a technological revolution, and the underlying causes and consequences of weak real income growth and inequality. revolution, the displacement of manufacturing by the service economy, and now the hollowing out of many of those middle-class services jobs through machine learning and global sourcing,” said Mr Carney in his ‘Spectre of Monetarism’ speech. Mr Carney’s warnings on the technology of the future echoed similar sentiments by the Bank’s chief economist Andy Haldane, who issued his own warnings in a study saying that automation could decimate much of the workforce. 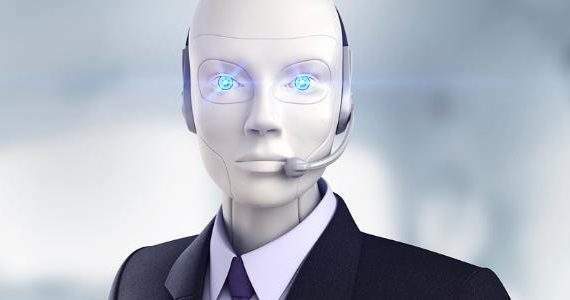 Administrative, clerical and production staff were deemed most at threat of the rise of the robots, while whole professions like accountancy were also threatened with extinction. However, professions such as hairdressers, carers and nannies were regarded as relatively safe jobs for the future – in no small part because they rely on human interaction. The impact of automation on the workforce has already been seen in recent times, with Lloyds bank employees replaced in favour of automation late last year. Firms are also ramping up studies into the future impact of robots in the workplace, with a recent Deloitte study estimating that nearly 861,000 UK public sector jobs could be affected by automation by 2030. These estimates, however, pale in comparison to the Governor’s grim predictions for the workforce of the future. Although welcoming the Governor’s focus on automation, Kit Cox, CEO at enate, argues that new technology should be regarded with excitement, not fear. “The statement from Mark Carney is a timely reminder that automation is the greatest social challenge for our age and we need to be having a serious nationwide conversation about it. We have already reached a point in some areas where doing business is not a case of man or machine, but rather man and machine,” said the enate CEO. The warnings to the workforce of the future did not stop with automation and robots, with Mr Carney also claiming that workers had suffered “the first lost decade since the 1860’s”, with living standards the lowest since Dickensian times. Putting the focus on the UK’s lost decade of growth, Mr Carney called for the government to tackle wealth inequality, as well as defending low interest rates and the potential disaster of a return to protectionism.